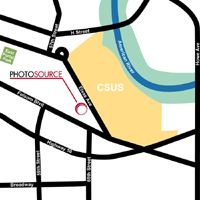 PhotoSource is a modern, state of the art, digital photolab, rental studio and rental equipment facility, located just off Hwy-50 and 65th Ave. in East Sacramento behind the CSUS campus. 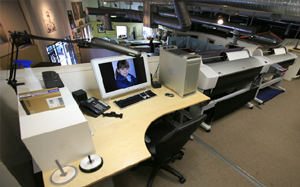 PhotoSource offers an array of services to meet the needs of both novice and professional photographers by combining state of the art digital printing methods with traditional photographic methods available in our rental darkroom. 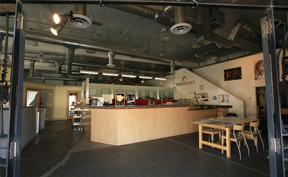 Besides our common everyday lab and rental services, PhotoSource offers several other services such as Photo Restorations, Film and Video/DVD transfers, custom framing and mounting services, giclée and large format printing as well as high grade digital art capture and film scanning.